Technologies are changing the way we interact with computers and smartphones. From keypads, touchscreens and hand gestures we are able to use the computers and other devices in easy way. Touchscreens revolutionized the use of smartphones. Now the hand gesture detection is getting its way to come in which is another revolution. We already have such products like Kinect for Xbox 360 gaming console, Leap Motion for computers and laptops. We also also have another Kickstarter project Haptix from Haptix Touch which has started its crowd-funding phase. The funding was started on 14th of August and continues till 13th of September. with only 5 days passed the Haptix Touch has already funded with $94,277 USD of the pledged $100,000 USD. 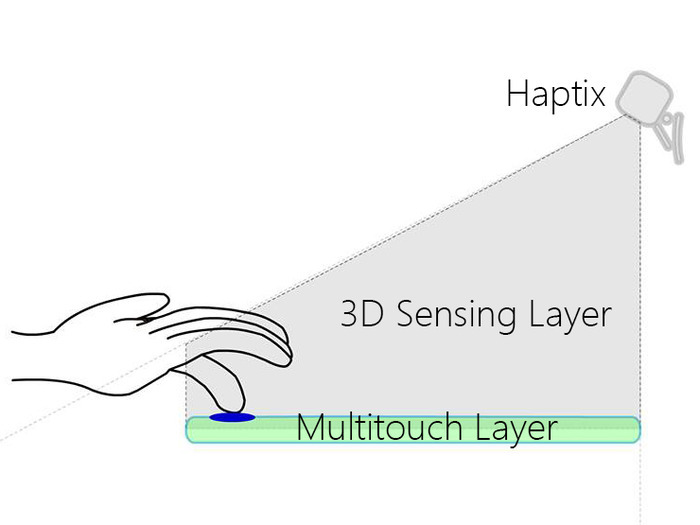 Haptix is hand gesture detection device that transforms any flat surface into 3D multi-touch surface to control computers and laptops. 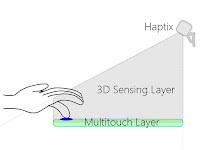 Haptix even enable us to use the keyboard as the surface for performing the hand gestures. Haptix has the ability to detect gestures in 3D space which makes us to perform had gestures either on the surface on even in the air. It can be used as mouse, trackpad or a multi-touch device. We can also input custom defined gestures input. Say for example we can define index finger gesture for left click, middle finger as right click or we can we create our own gesture based on the comfort. For developers Haptix Touch provided its own SDK(Software Development Kit) with which software developers can create their own custom applications based on their specific needs. Haptix can be used with wide variety of applications including designing, CAD, powerpoint presentation and many more. 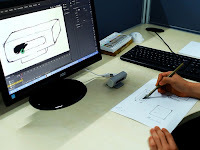 Developers can concentrate on custom applications for professional CAD and design applications. With Haptix we can also play first person shooter gaming, but I am not sure how far that will be use friendly. If the funding goes successful, we can expect the product release on Q1 or Q2 of 2014 for $70 USD.